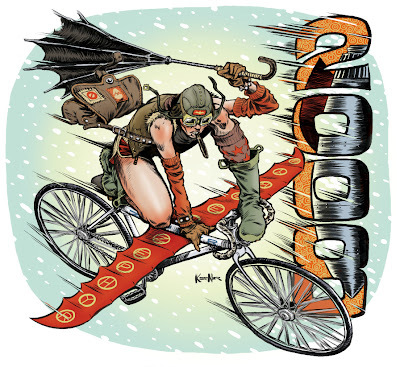 Lukas Ketner Illustration: Mercury Calendar illo "Zephyr"
Here's one I did for the Portland Mercury's 2008 calendar. Zephyr is the name printed in blue on my favorite white bicycle (with matching white grip tape on the handlebars) that was stolen from me around Halloween time in NE Portland. If you see this bicycle (minus the wings), please let me know.